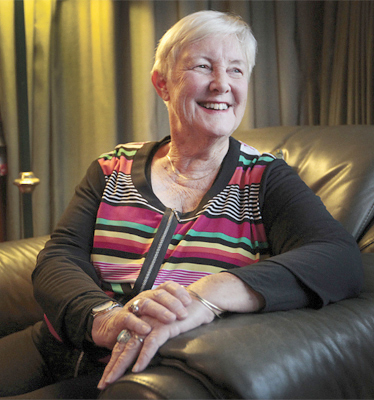 The Ephesus Liturgies grew out of the life of Ephesus, a group of about thirty people who have been meeting in Wellington since 1990 to explore new ways of understanding and expressing Christian faith in a secular world. Taking the original concept of ‘liturgy’ as meaning ‘the work of the people’, the Ephesus community has worked to develop a form of worship that seeks to make sense of contemporary human experience while drawing on shared traditions of faith and worship. The four liturgies in this volume reflect on making sense of our lives, love and selfishness (an Easter liturgy), our obligations to the earth that nourishes us, and the celebration of Christmas. Award-winning author Jill Harris wrote books for children and young adults: The Red Suitcase (2014), At the Lake (2011), Missing Toby (2007) and Sil (2005). Jill grew up in Takapuna, Auckland, and worked as a teacher and a librarian, retiring to write children’s novels, poetry and liturgies. She lived with her husband, Ian, in Eastbourne, and with him was a founding member of the Ephesus Group. 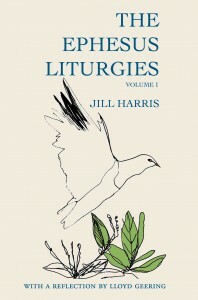 Writing the liturgies, as with all her books, grew out of a commitment to the power of story, music, science and the natural world.